Greetings, friends of Linda! In case you haven't been following the updates from Linda's expedition leader, I've compiled the list so far here. Enjoy reading! August 16, 2012: Who's up for a game of fox and siksik? August 18, 2012: Surprise Mr. grizzly bear. We see you! August 23, 2012: Laundry day in grizzly bear alley. A muskox does the vogue. 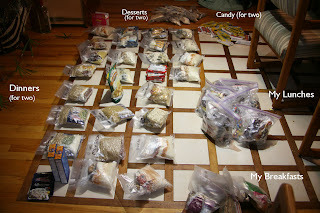 The logistics which go into a 30 day canoe trip in the wilderness are daunting. The other five on the team had been preparing for months. When the 6th member was unsure he could make it, I was called and invited to be his replacement. That was June 28th, less than 3 weeks before all my food needed to be mailed to Bettles, Alaska! Once I saw Appalachian Apple Pie and Pineapple Upside Down Cake, I was sold!!! You can't buy food from them, but they give instructions on how to design meals and where to get free-dried meats and vegetables. If I had had more time, I could have dehydrated everything myself but with trying to get all my planned August work done before I left August 5th, my plate was full. The first order of business was to figure out how many calories we should be consuming per day given that the trip is above the Arctic Circle AND we will be exercising and quite wet at times. We decided to push for 2000 - 3000 calories a day. I'll stay on the lower end consuming roughly 40% of the dinner, although it might be tempting to sneak a little extra of the Appalachian Apple Pie. Dinner: Base of pasta, rice, ramen or potato. Additions of dehydrated turkey or chicken, bacon, cheese, or beans. Additions of dehydrated vegetables. Some of the dinners have toppings of coconut or cashews (should go well with the Thai peanut rice), or parmesan powdered cheese for pasta dishes. Dessert: Apple pie, Pineapple Upside Down Cake, puddings with bases of graham cracker or toppings of Toffee bits or coconut OR candy AND/OR homemade hot chocolate with a little kick. It all looks nicely vacuum-packed above. 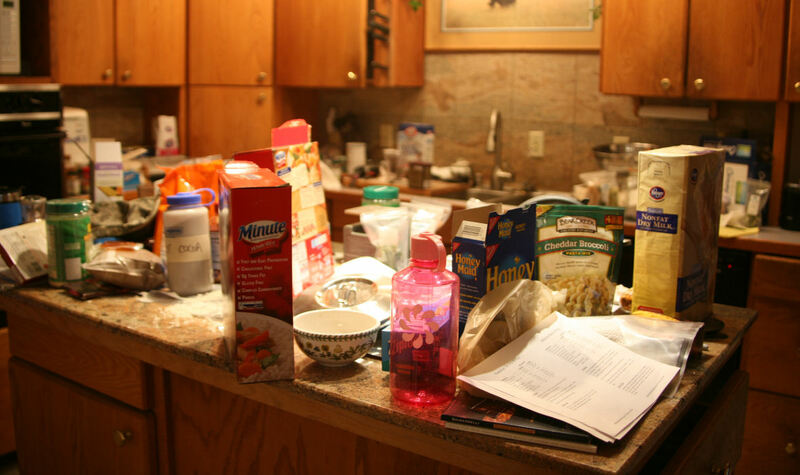 Look below and you can see what the kitchen looked like at 12:30 am after a round of putting together the dinners!!! All the food had to be shipped to Brooks Aviation to arrive in plenty of time for our departure to the river. 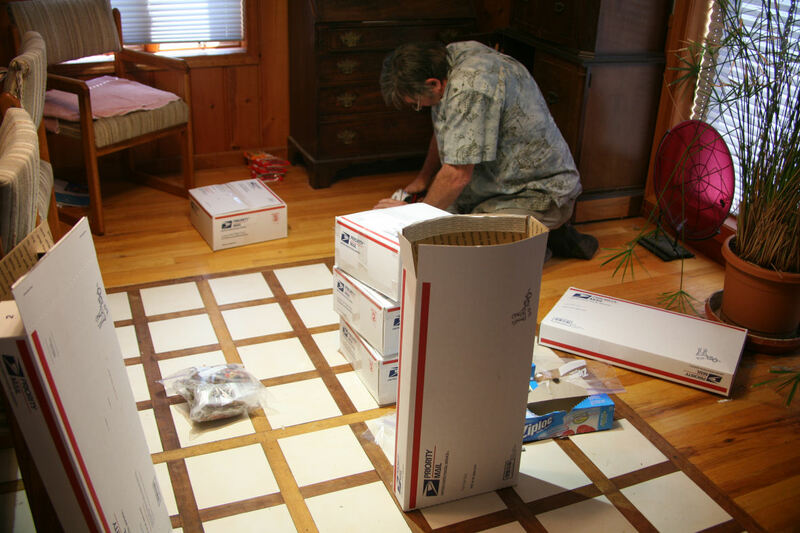 Here is my husband packing the 9 boxes of food on July 18th, our shipping day. It may seem like a lot to eat, but my portion of food is less than 49 pounds for 30 days including all the zip locks and vacuum bags. To follow our trip, the below link should direct you to a google map. Though I have had some exciting adventures in the past, swimming with beluga whales, a 70 km canoe trip down the Zambezi River filled with crocs and hippos and camping along the banks at night, a "polar plunge" in Antarctic waters, this may be my most daunting trip. Right now I am on the Noatak River in Alaska. Entirely above the Arctic Circle, this river begins in Gates of the Arctic National Park and Preserve and ends at the ocean near Kotzebue. Our 6-"man" team (3 women, 3 men) will canoe the river's length of 425 miles over 30 days. This wilderness does not have any support stations so we will be carrying all our food, tents, fuel and supplies with us. My second WREAF trip (Wilderness River Expedition Art Foundation), this will be twice as long as the trip to Labrador. 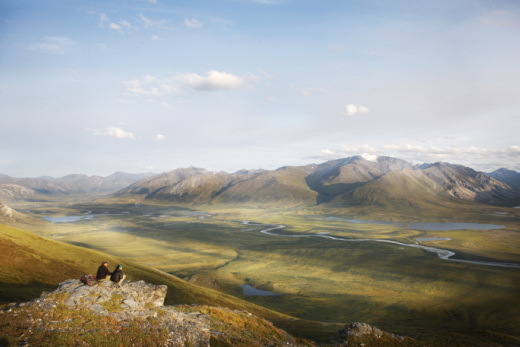 According to the Noatak River National Preserve, the Noatak River "supports an intact, unaltered ecosystem." We expect to see grizzly bear, migrating caribou, wolves, raptors, musk ox, and there is a good chance of seeing one the most northern herds of Dall sheep in the world. We expect to be the only humans for many many miles. We will have a satellite link-up to show our location. If it has been set-up properly (keeping in mind we are artists not technicians) you can follow us along on google map. The link is below. Once you access the site, a message screen may appear. This expedition is the first half of "an artistic circumnavigation of the western Brooks Range on the Noatak and Kobuk Rivers." The second half will be completed next summer. My husband will be home manning "the fort" and watching our progress on the river. Without him, I would never have been ready for the trip. Check in to my blog in a few days and you'll see what I mean. I think giraffe would make great basketball players for the animal kingdom. And, from their "uniforms" you know they have a fun spirit. While painting so many spots might seem tedious, I enjoy watching the giraffe take shape. Once the spots are painted, I'll paint the light and shadow on them. I like to begin with the head and then complete each animal before moving to the next. The final stage will be my overall "finish," revisiting the grass and anything else which needs further attention. Here I have started to block-in my foreground. I prefer painting water to painting grasses. However, there are some pieces which require grass. To avoid painting every blade (a task not only boring but unnecessary) I find if I rough-in "grass-y" colors then return to them later, I can create the feeling of grass. By the time I finish painting the giraffe, the lower half of the painting will be dry and I can dry brush a variety of grass textures and colors.